Remote work has doubled in Ireland since 2015, with 59% of IT firms admitting that some of their staff work remotely on a regular basis or work whilst on the road. The UK have also seen a significant rise in remote working, with the latest figures from the Trade Union Congress highlighting an estimated 1.5 million employees frequently work from home. This figure is rising steadily, increasing by 19% in the last decade. Working from home is becoming an option for many employees and employers. With the rise of cloud base technologies and the adoption by most IT companies, the process of working from home has become much simpler. The increase in both figures, would suggest that both employees and employers are benefiting from this popular working arrangement. Taking some insight from Richard Branson’s quote, trusting an employee with the option of remote can have the most positive repercussions, and thus leading to a productive employee. 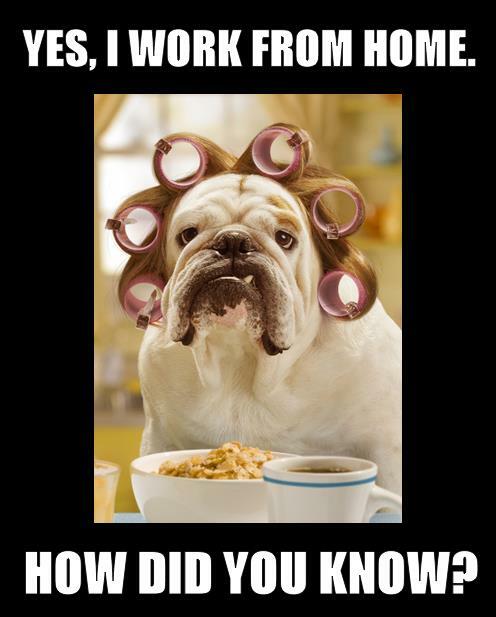 A recent study from Stanford University highlighted that employees are 13% more productive working from home. In some cases, working from home can improve the overall wellbeing of employees. Worker health and avoiding burn out is key retaining staff. Remote working allows a better life-balance, which in turn makes for a happier employee. As employees now work more hours than ever before, finding a work life balance is key. Through remote working, commuting can be halved or in some cases a thing of the past. Commuting can be a stressful and a draining process so by lessening this, an employee will avoid any burnout. Furthermore, it can save you bus/train fares. As an employer, the world of work and employee needs is a continuously evolving one. Perhaps your boss believes working remotely will only benefit your needs, however, this is not the case. As mention in the employee benefits, production levels improve, meaning more work gets done and to an improved level. Undoubtable, working from home allows for a greater life balance and healthier eating, which in turn creates happier and healthier employees and this results in less sick days, saving resources. A real advantage for an employer is that your employees will have no geographical boundary. A lot of businesses operate in city center areas, however, not everyone lives in these cities. By allowing employees to work from any location, employers have a wider talent pool to pick from. Whether it is a day or two a week or full time remote work on offer, it is a fantastic company perk to have in place. Perhaps it saves on office space or maybe it allows working mothers/fathers more family time. Either way it is a benefit, making employees loyal and less likely to leave for another job. Of course, one size does not fit all, and depending on circumstances, job sectors or your role within a company, working from home may not be a feasible option. An employee’s productivity and success completely depends on your working character and favored work style. Depending on the individual, some may find remote work to be a more peaceful and less distracting environment, away from the chat and noise of the office. While others can’t image being a mere 10 steps away from their TV and still be able to concentrate on their work. Perhaps a reason that is rarely admitted is a lack of trust, research has found that some employers would not trust their employees to work from home as they can’t be correctly monitored. Other grounds where remote work is not an option may be up to an individual’s job, a mechanic, a chef or a nurse for example. Some careers will never be transported to a person’s home. Last but not least, the office isn’t too bad of a place to be. Lots of employees enjoy their office environment and enjoy catching up with their colleagues each day, sometimes getting out of the house and into the working scene can be just what a person needs.